The apartment is located in a small fishing village at the Szczecin Lagoon - in Altwarp. Due to the large panoramic sliding windows in the spacious living and dining area with a fantastic water view an incredible holiday feeling is generated every season. The attached garden plot, about which you have exclusive access to the beach, you are able to share course. Especially for families with children offers 1500m² plot fun to romp or simply to relax. The exclusive, ground-level holiday home is more than a holiday apartment. It is a holiday home with water property. The apartment (separate entrances) of the attic is temporarily shared by the managers of rental property. Looking further accommodation in a few meters of acquaintances, friends and / or family? Then the holiday home "beach life" is the perfect solution for you, provided that the availability calendar of accommodation allows. For our animal lovers: The garden plot is not completely fenced and has an open access to the beach. 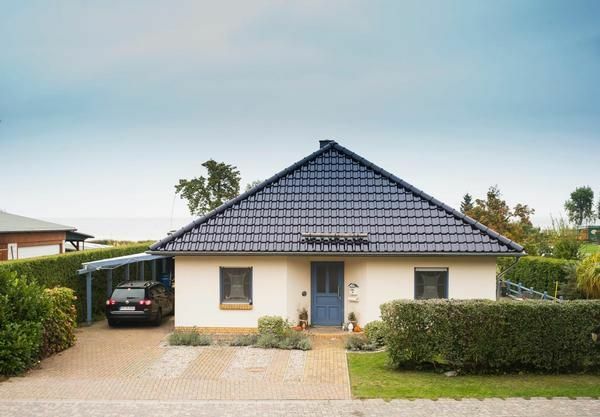 Sehr schönes Haus direkt am Meer. Ruhige Umgebung und der perfekte Ort zum entspannen. Sehr nette Gastgeber. Das Haus war gut und mit allem nötigen ausgestattet. Wir kommen gerne wieder! Cot (per property per day, included 0 EUR).